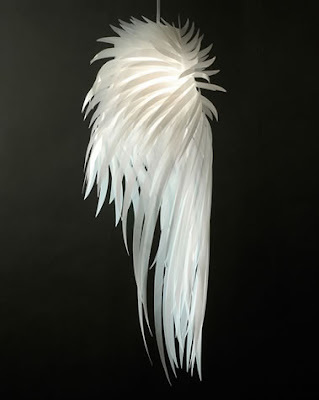 Lamp Icarus designed by Tord Boontje is a delicate cascade feathers connecting divine with profane. The lamp is inspired by the wings that Daedalus, mythological character, architect and father of Icarus, built to flee the prison where they were both. The lamp is a tribute to Icarus Icarus, who, despite being warned by his father, flew too high and his wings were melted by the sun. The light comes from feathers dynamic mylar (polyester coating) that resists, and without melting, more powerful illumination. Union design e history an indispensable for household ultimately today symbolizes light wisdom.